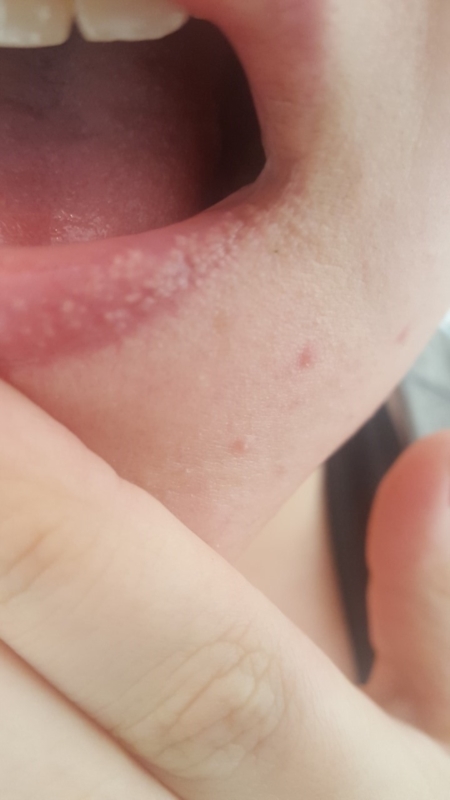 Does this look like herpes on my mouth? I've had this for awhile. Slightly afraid to go to the doctor about it. Does it look like herpes? I have it on both sides of my bottom lip. If not, what could it be? Doesn't look normal.. I had that on my top lip and it went away. Seen my dermatologist and she said it is normal it's just the skin. I'd get it checked out just in case. Especially if you've been kissing people. Better be safe than sorry. I have this as well, reassuring because mine looks the same. I have the same thing on my upper inner corner of my lips. I am worried if it might be hpv. Because it is painless and looks like clusters of warts. I needed to see a doctor to make sure. Have you seen a doctor and get tested for Pap smear? did you find out what it was ? How did you get it to let you post a photo? Did you have sexual encounter shortly before you noticed this?